Karen Marquez and her family rejoice after they find out that the Buhach Colony has granted them with a wish. This year Buhach Colony has reinstated an old tradition called Winter Wishes. Winter Wishes is an act of kindness from the hearts of Buhach Colony students to help those in need at our school and our community. Buhach Colony has given their students the opportunity to request a wish for themselves, a friend in need, or a family in need. These wishes range from clothing items and instruments to buying a plane ticket so one can visit family or helping pay for medical bills. Saephanh, and a guitar fixing service from Gottschalk’s music and 3 months of lessons to Jorge Hernandez. Both Juan Rosales and Joel Hernandez received Letterman Jackets. Ex staff member Derek Daily nominated Hernandez for his gift and was even able to present him his letterman jacket at the rally. Kelvin Ortiz was nominated for a wish by the soccer and cross country coach Mr. Garcia. Ortiz received a round trip ticket to fly to Texas in order to spend the holidays with his parents. Karen Marquez and her family were also welcomed to the floor at the rally. Leadership teacher Katherine Zamarripa informs us that “Karen’s cousin is in the second grade and was diagnosed with an inoperable brain tumor and has been given 3 to 6 months to live.” Marquez and her family were given tickets to the Monterey Bay Aquarium and a Visa gift card to help lift their spirits this holiday season. 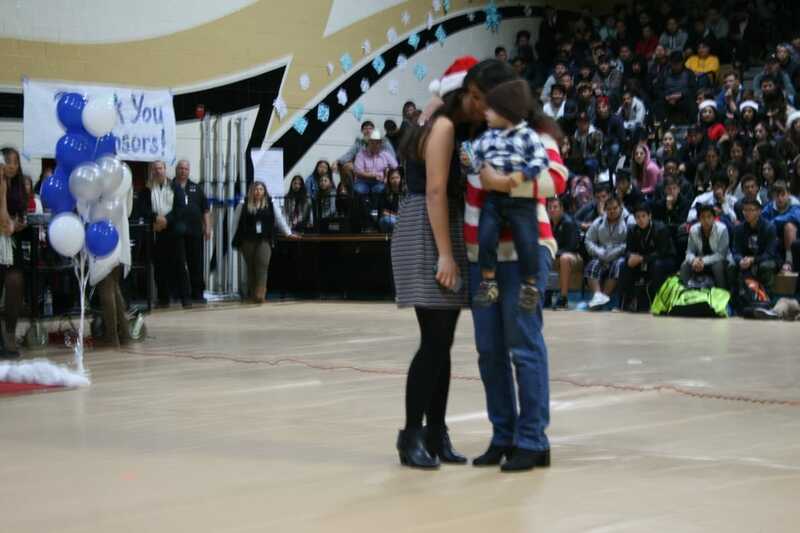 Many wishes were granted at school in the days leading up to Buhach Colony's winter wishes rally and multiple gifts were given anonymously because they did not want their story told. But, whether it was announced loud and proud or kept nice and quiet, these gifts were given from the hearts of Buhach Colony’s staff and students. A huge thank you to Katherine Zamarripa, the leadership students, and all those who made this year's Winter Wishes possible. Happy Holidays! 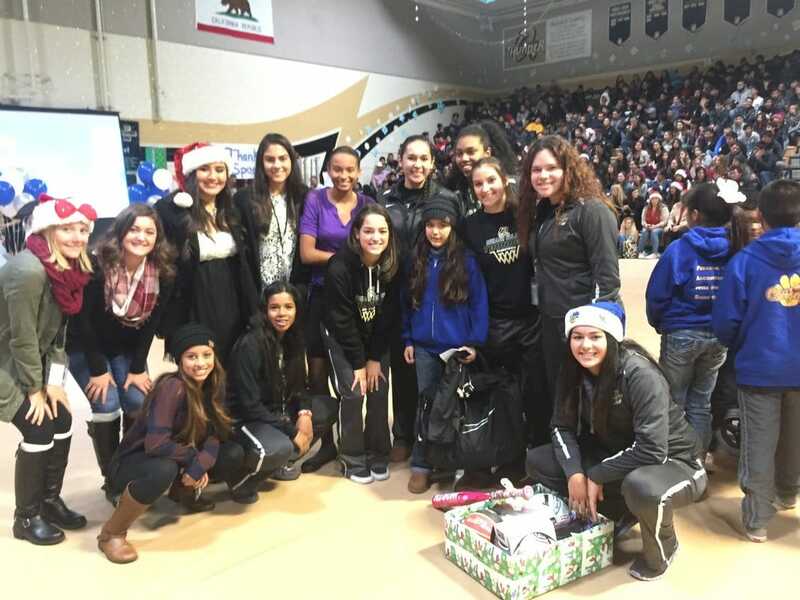 Buhach Colony’s varsity girls basketball team surrounds Klarissa with Christmas spitit after she had received her gifts from them.